Upon discovering Musicians without Borders (MwB) earlier this year, the opportunity to see their work in the flesh during my visit to Jerusalem was a must! For the duration of a 10-hour music-filled adventure throughout the Bethlehem area I explored the versatile approach of Musicians without Borders, where we fueled joy, empowerment, and imagination to those fallen through the cracks of history and current society. Their motto is, “WAR DIVIDES, MUSIC CONNECTS,” which is more than appropriate considering MwB has pinpointed music programs in locations of some of the most infamous conflicts and post-conflicts: Rwanda, Bosnia-Herzegovina, Kosovo, Palestine. In communities where development is interrupted time in and time out again for even the span of decades by full-out hostilities and systemic injustice, how can the creative process of music serve as a powerful mortar, piecing back together the fabric of a community and as well enabling spurts of growth anew? What can be learned from MwB’s versatile approaches in the Bethlehem area? And finally at the end of the day, what can YOU do to join this transformative work fostering creative ways of learning and self-expression in and throughout music? The day starts early with my trek up to Jerusalem from the bubble of Tel Aviv. By mid-morning, MwB’s project manager for the area, Fabienne, and I are already exchanging our backgrounds throughout the car ride from Jerusalem, pass the checkpoint, and into Bethlehem. We then arrive at our first destination: Al-Azzeh Refugee Camp. 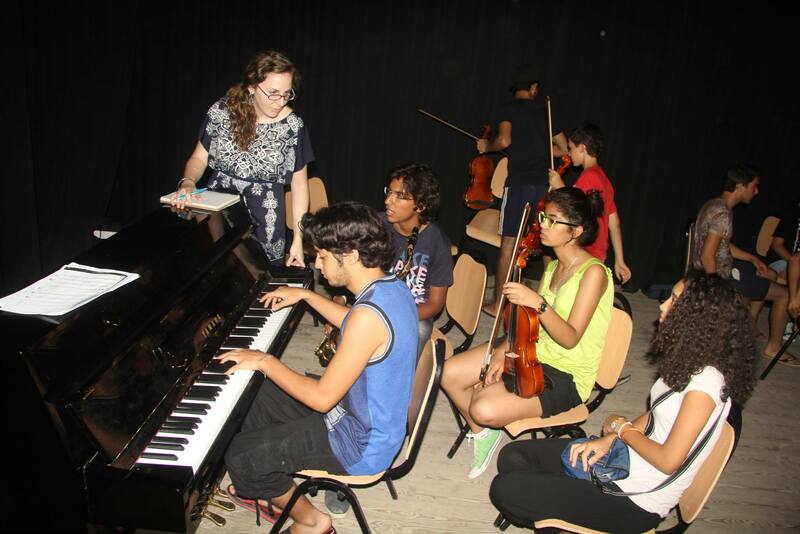 Al-Azzeh is one of a handful refugee camps, ranging from al-Fawwar in South Hebron to others in the Bethlehem area like Aida and Deheishe refugee camps, that Fabienne visits throughout the week to run various music education and expressive arts programs. Al-Azzeh is considered to be the smallest Palestinian refugee camp in the West Bank with around 60% of its members originating from the same initial family. It is my first time visiting Al-Azzeh. Though it is mid-morning, the sun is already reminding us both that it is July in the Middle East. There is nobody around as we walk through one of the main roads of the camp, which is really a dusty, dirt pathway. After a few minutes of walking, none other than a group of girls meets us, awaiting our arrival. I’m not sure whether they knew we were coming or anxiously waited for Fabienne to come any which day; I do know they are incredibly excited to see that we had made it. As the girls are instructed by Fabienne in Arabic to go gather other children for our workshop, I take in my surroundings further. There are short houses or structures on either sides of the pathway, with only street art and graffiti tying them together. 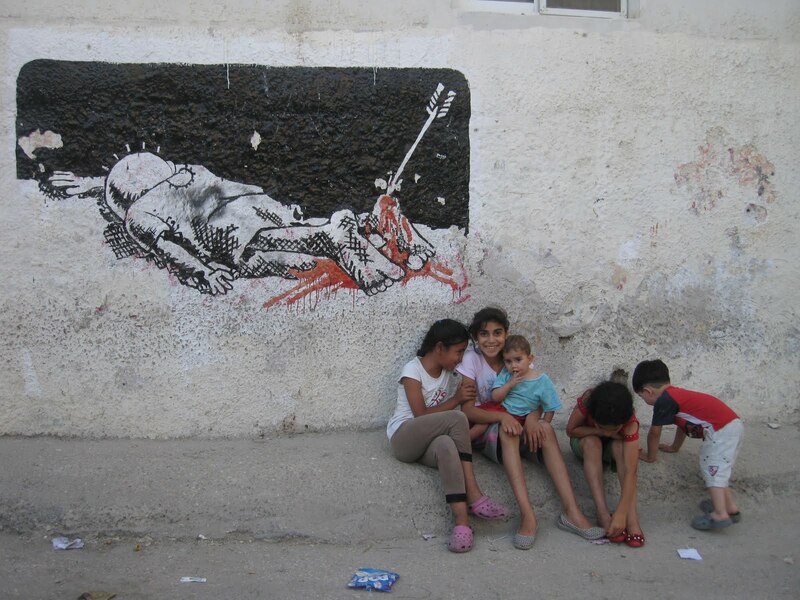 The majority of the street art and graffiti are images, political and identity-based. There is a narrative present there on those walls encompassing many feelings. Nationalism. Sorrow. Death. Suffocation. Oppression. Loss. I want to stare more and digest, though ultimately I have to let go. The program begins with around 10 children sitting on lawn chairs in a circle in what is a nice, newer one-story structure meant to serve the community’s needs. Before I know it, all attention including my own, is on Fabienne as she so seamlessly gathers the energy of the group by initiating with a song playing in the background and responding to it with various hand movements in the air, on the body, on the floor, etc., which are then mimicked by the group. It isn’t long until the various percussion instruments from different types of tambourines and shakers to triangles and wood blocks appear from her bag. 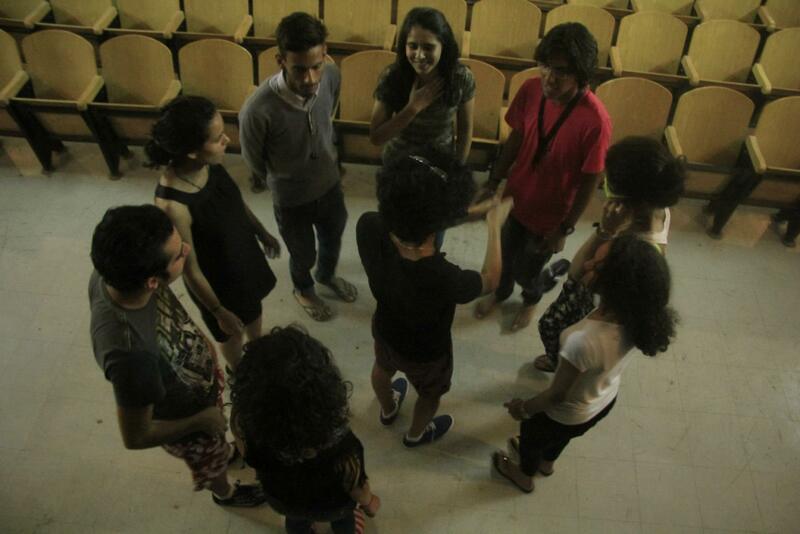 Each percussion instrument is passed around the circle and everybody is given a chance to create sound. Shaking a percussion instrument upon Fabienne’s non-verbal instruction, passing it to your neighbor, and receiving a new instrument to discover is quite the task, but we did it! One of the most interesting aspects of Fabienne’s method is seen in her use of non-verbal instruction. Rather than falling apart as the circle of children, ranging from the ages of 3 to ten, continues to uncontrollably grow, there is perhaps even more concentration than expected and less strife. Fabienne had shared with me beforehand the difficulties of conducting workshops in Al-Azzeh related to outside factors, such as divisions between the different families in the camp, widespread poverty, and conflicting gender norms. Upon looking closer, children wear hand-me-downs that need washing (Palestinians in the West Bank experience water rationing, especially in the summer months, usually meaning a few days in a week of no available running water. Jewish settlements, also located in/occupying the West Bank have available running water usually every day of the week*). As well, children do not just sit next to any other child. Children sit next to their siblings, girls sit next to girls, and boys sit next to boys. Fabienne had created options of interaction for the children, in light of these issues, to increase comfort and provide a safe space for participation. For example, those who feel uncomfortable participating because of gender norm issues or another child’s participation from a family involved in the camp strife, should leave the exercise and sit on the side until he or she is ready to return. When have these children ever had safe options of choice in their lives? Some children sit outside of exercises every now and then because they are exhausted, and yet it is only 10am in the morning. Several do not even seem present at all. Two exercises of Fabienne’s that seemed most enjoyable are drumming rhythms with drumsticks and learning sing-a-longs. Learning and improvising on different rhythms with the drumsticks is like a heartbeat discovering all of its potential. First, all of us in the circle keep a constant, medium speed beat. Then one child at a time beats another rhythm within the base rhythm, whether it is tapping the sticks together, tapping the floor, tapping the chair, or just a combination of everything possible. After several children are given the spotlight, we break up into smaller circles and continue with a similar exercise, except for the instruction of mimicking the rhythm of the leader. This allows more creativity and spotlight time for each individual. If creating rhythms together in a big circle isn’t loud enough, this makes the room burst with the sound of an entire nation. After such a rhythmic exercise, the transition to sing-a-longs introduces rudimentary songwriting, melody construction, and collective singing. Each song possesses a particular framework, where the children decide which words are used in certain phrases and which hand movements accompany those words. All of these childhood sing-a-longs are in Arabic, so you can only imagine my learning curve trying to sing in Arabic and remember hand movements and melody. In retrospect, if it was not entertaining for the kids, it was definitely entertaining for me. As the workshop begins to wind down after an hour and a half of facilitation, several of the girls beg us to stay longer and ask when we will return. It is amazing after all that we practically worked with the bare minimum of supplies in an environment with no previous resources to work with and yet, we all learned and bonded. The relationship fostered between Fabienne and these children is not of vertical capacity from outsider to the vernacular. The cultivation of new civic strands of social responsibility, learned through the expressive arts where children can engage, express, share, and lead, are all the beginnings of a repairing community. After several other stops, including a government-sponsored event for Palestinian families from low socio-economic backgrounds with children undergoing cancer treatment, we end our day at the newly built recording studio in the Deheishe Refugee Camp. The studio, built by a Holy Land Trust volunteer from California who is a producer himself and runs a free recording studio for “in-risk” youth at Sunset Youth Services, is a means to use music as a form of self-expression and nonviolence communication. Meeting with the 20-something rappers of Deheishe now responsible for the studio is inspiring. Not only did these young men prove to their community the benefits of building a recording studio in the camp, they are now trained to use the recording studio and are giving back to the community by opening the studio to children in the refugee camp. More about their story can be found here: How to Build a Studio (and a better world). Their most recent project was recording the hopes and dreams written down by the same children undergoing cancer treatment present at the government sponsored event Fabienne and I attended. 1. The publication of the next edition of the MwB facilitator guide. The guide outlines their methodology, how to be a facilitator, and lesson plans. Now, any trained practitioner possesses the tools to be a MwB facilitator in any community. 2. The initiation of a facilitation course for young community leaders, which will help spread MwB grassroots methods throughout the West Bank. The second level of the facilitation course is currently in the making. All of these factors contribute to MwB’s success, allowing for a transparent, sustainable platform of constructive change flexible in development and initiation. How can YOU help MwB? 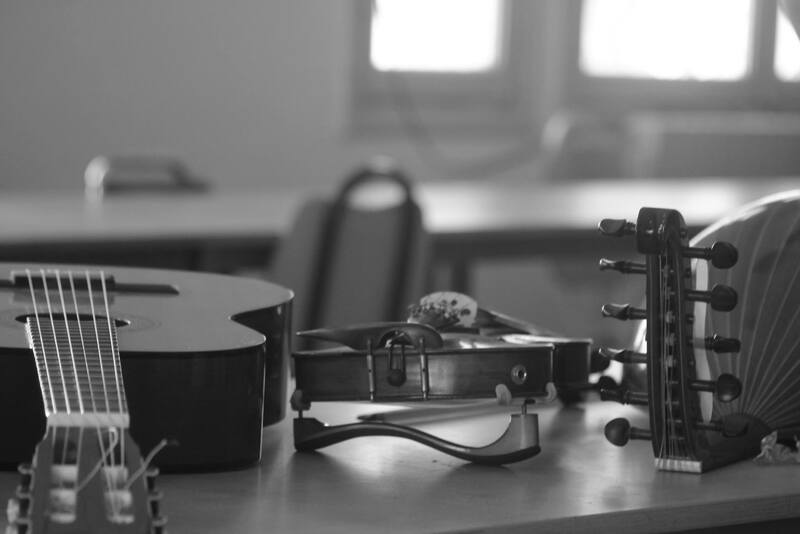 In the typical dilemma of a music intervention non-profit, all of these projects require funding, which means that MwB most likely spends a considerable amount of their time fundraising. Imagine how many other projects could be started by MwB if it was not necessary to spend so much time fundraising only to keep current projects running? You can help! Give a local concert in your hometown to raise money in their honor. Ask a company to provide a matching gift to your MwB donation. Choose MwB as a focus in a school project and set a fundraising goal for the end of the semester. The possibilities are endless. Secondly, spread the word! MwB has two blogs (Music Bus Goes Middle East) (Music Bus Goes Africa) and Facebook pages: “Musicians Without Borders”, “Rwanda Youth Music”, and “Music Bus Goes Middle East”. The more people become familiar with MwB, the wider its reach to share information about its programs and its needs. Who wouldn’t be inspired upon hearing how the creative process of music can empower entire generations seeking a better future? Who says your voice can’t be the voice for change today? Go beyond the checkpoint using the creative process of music. 1. Al ‘Aza Camp (Fact Sheet). Rep. Jerusalem: Applied Research Institute- Jerusalem, 2009.Al ‘Aza Camp (Fact Sheet). Applied Research Institute- Jerusalem, 2009. Web. 17 Aug. 2012. <http://vprofile.arij.org/bethlehem/pdfs/EN/Al%20’Aza%20Camp_fs_en.pdf&gt;. 2. Al ‘Aza Camp Profile. Al ‘Aza Camp Profile. The Applied Research Institute- Jerusalem, 2010. Web. 17 Aug. 2012. <http://vprofile.arij.org/bethlehem/pdfs/VP/Al%20’Aza_cp_en.pdf&gt;. 3. Asser, Martin. “Obstacles to Peace: Water.” BBC News. BBC News MMVII, 23 May 2007. Web. 19 Aug. 2012. <http://www2.aes.ac.in/mswebsite_07/teachersites/mtabor/1_Geography/southwest_asia/BBC_Water/Water_Wars_BBC.pdf&gt;. 4. Lederach, John Paul. The Moral Imagination: The Art and Soul of Building Peace. Oxford: Oxford UP, 2005. Print. 5. 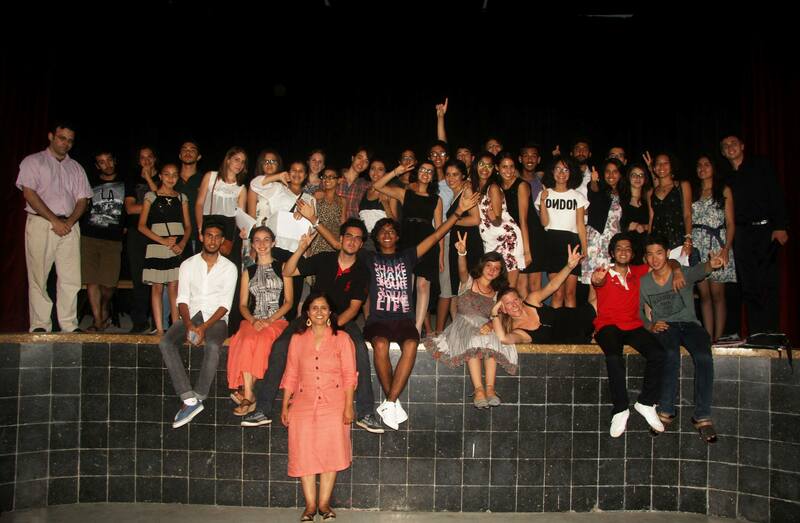 One Love. Children Playing in Al-Azzeh Camp. 2011. Photograph. The Sun Shines Everywhere (blog), Al ‘Azzeh Refugee Camp. 6. “Projects and Programs.” Musicians without Borders. MwB, 2010. Web. 17 Aug. 2012. <http://www.musicianswithoutborders.org/&gt;. Stalemate. Deadlock. Impasse. A never ending or changing reality. Hopelessness. Upon facing insurmountable challenges run into the ground ten times over by proposed solution after proposed solution to no avail, then what? Game over? Or seek awakening potentials? Music as a creative process is an ever expanding and evolving medium. It preserves the past by conjuring it in the present, while steadfastly proposing new boundaries to cross and explore. Unprecedented musical ideas seen as nouveau eventually become standardized into the global repertoire perpetuated by YouTube and SoundCloud to name a few. The facilitation of music to engender premises which did not exist before awakens potentials that become possible for the first time. Awakening potentials substantiate the promise of new creations, relationships, beginnings, and imaginations. Join me in moving from theory to practice by examining awakening potentials existent in the sharing and exploration of childhood sing-a-longs. Yesh li, yesh li pajamas. I have, I have pajamas. Yesh li pajamas be’cachol, lavan, cachol, lavan, cachol, lavan. I have pajamas that are blue, white, blue, white, blue, white. Like the flag of Israel. Though simply written, the purpose of this childhood song is to create a sense of personal attachment and belonging to the State of Israel. The song is not expressly political in that there is no mention of borders or history, yet unquestioningly there is an underlying directive of nationality enshrouded in the colors blue and white. Let’s examine another childhood song of a differing narrative. I like the colors. I’m an artist child. Painting with white, black, red. I like the colors. Painting with blue, yellow, green. I’m an artist child. What does “red” refer to? To the flowers. What does “green” refer to? To the trees. What does “white” refer to? To the snow. I like, I like, I like… I like the colors. I’m an artist child. What does “blue” refer to? To the sky. What does “black” refer to? To the goats. What does “yellow” refer to? To the bananas. Pink for flowers and silver for moons. Gold for sand and brown for mountains. I’m painting the most beautiful painting with colors. It makes me feel happy. 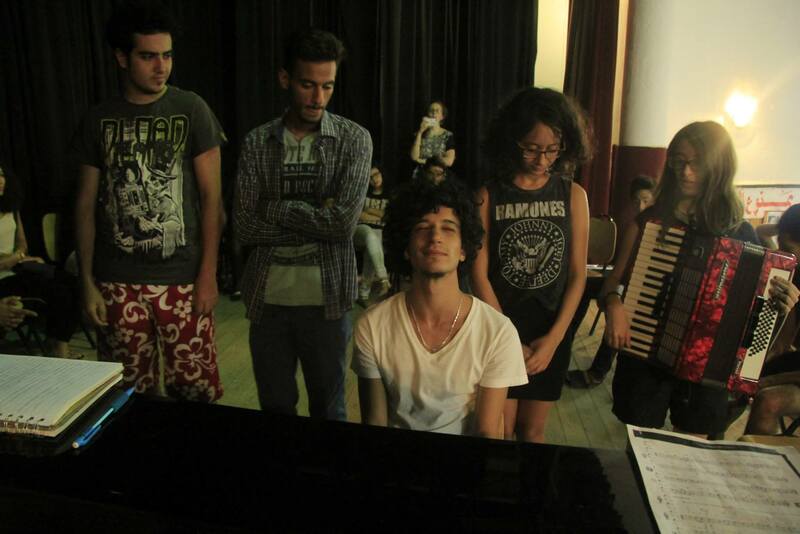 This childhood sing-a-long is a composition of the Edward Said National Conservatory of Music headquartered in Ramallah. As I am not Palestinian, I cannot interpret the Palestinian narrative with the same exactness and truth as a Palestinian. If I may though, I would point out the many nature and agricultural references describing a landscape, a place, or a land. There is a recognition and connection to what could only be described as items present in a local scenery. From the flowers and the snow to the goats and mountains, the colors are what one would use to describe these items from their window, field, or garden. We feel pride in our allegiances, which support our personal narrative and complete our desire for community. Deciding whether or not we share our allegiances or possessions with others outside our community is where conflict can arise. Is it a question of tolerance or compassion? Do we feel our survival or traditions are threatened by sharing that allegiance or possession? It may be hard to even begin that discussion without the actualization of a platform, which did not exist before, where awakening potentials stir. In the case of these two childhood songs each based in a differing narrative, where can awakening potentials stir? After introducing each song by singing or playing the melody on an instrument and then explaining its lyrics and references, see what new songs can be created using elements originating from both sing-a-longs. What is similar? Both songs focus on using colors to identify or characterize symbols of nationality from flag to the description of land. What is different? The actual melodies of the songs are different, yet there still are musical elements in both that are similar. What would happen if you and your partner decided to change the rhythm, add a B section, use the traditional instruments of both cultures in its instrumentation, modulate, add another verse, etc. The possibilities are endless, and yet it is still possible to preserve original elements of both sing-a-longs. After experimenting with all of the various ways both songs can coexist, separately yet together, modified yet the same, a platform which did not exist before can now support an even deeper discussion of why these childhood sing-a-longs are so important to each individual. What do they signify of the past and what can they elude to in the future? Decide for yourself and see what awakening potentials you can find that facilitate in actualizing what did not exist before, such as a new song, a greater understanding and trust, and even the beginning of a new friendship. 1. Edward Said National Music Conservatory. Palestinian Children’s Songs. Edward Said National Music Conservatory, 2010. YouTube. 30 May 2010. Web. 31 May 2012. <http://www.youtube.com/watch?v=vCtvoVsxteE&gt;. 2. Lederach, John Paul. The Moral Imagination: The Art and Soul of Building Peace. Oxford: Oxford UP, 2005. Print.